Hey ShreddedByCrows. Wow, thats a lot of input here! Thanks for your suggestions. I really like the effort you put in here, but i think you are overengineering a bit. First of all youre absolutely right: There are some cards in here that don't make any sense or are slow. This deck was never ment to be super-competitive, it's just build with some cards i had laying around to make a fun to pilot deck that kills some deck strategies, mostly Vannifars. I know it could be build a more competitive way, but in multiplayer it should not totally ruin the fun for everyone and make me archenemy. And i liked the idea of putting some cards in here that never see play even if they are cool. For Extraplanar Lens youre right. I wanted to put in snow covered lands and i own enough of them. I simply did not find any since all my cards below 1 Euro are in boxes with 4000 cards each and it takes a lot of time to search. With a job and building a house i had my priorities not on that. As far as the mana-rocks go you're right again. But all my crypts, vaults and my single monolith are in some of my more serious decks and i dont want to remove them there or buy extra copies for a fun-deck like this. Eiganjo Castle is a card i didn't think of and it perfectly fits, need to find and add one. For wasteland and strip mine same problem as before. All of them used in other decks and i hate switching cards around. 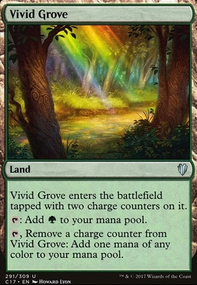 Not sure if i would add crucible just for this, but playing 2 LD lands is always a good thing. 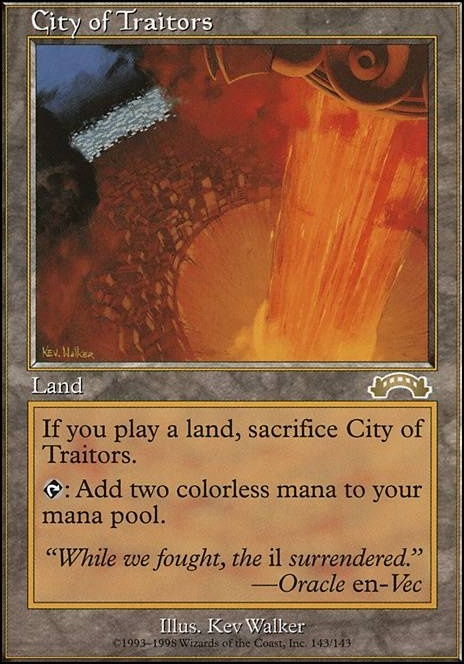 City of Traitors is a card i sadly don't own and it's a bit expensive for a deck like this. 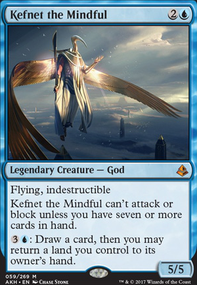 Humility is a great card, played it in my creatureless superfriends EDH some years ago but it slows down the game too much and kills the fun on the table. For your card suggestions: I dont want to go into all of those but for the staxx package i dont want to lock the board down totally. 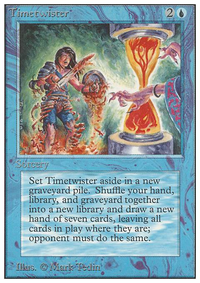 Played Vintage Staxx years ago before Trinisphere got restricted and some really nasty Daretti Staxx EDH. That really evolves fast to a point where nobody wants to play with you if you play that deck. 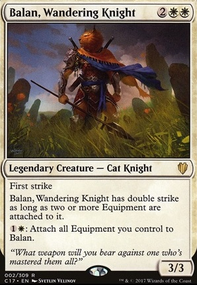 After all Commander is still a fun-format. For a competetive list sure, those a must haves. Whispersilk Cloak and True Conviction are removed for Teferi's Protection and Ward of Bones , need to cut that protection from my rarely played Nazahn-deck. I feel a bit like i wasted your time but i will for sure take your suggestions here if i build a mean version of this deck. I thank you a lot for your time and suggestions. 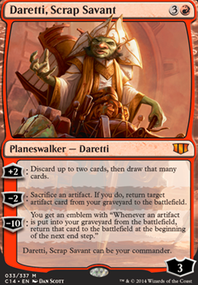 I know they're pet cards but, Extraplanar Lens and Gauntlet of Power are actually not very fast but rather, kind of clunky. 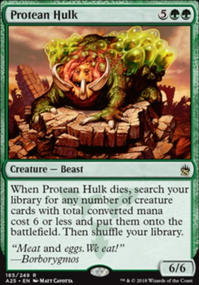 I'd toss in Mox Opal and potentially more red ramp spells such as Lotus Petal , Simian Spirit Guide , Rite of Flame , Desperate Ritual , Pyretic Ritual and Seething Song . Torch Courier is another good way to give Krenko haste and doubles as a body for Krenko if he doesn't need the haste. 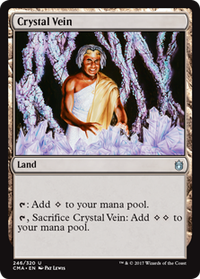 Putting Krenko into play ASAP is the most important thing in this deck so you may want to consider these lands: Crystal Vein , City of Traitors , Dwarven Ruins and Sandstone Needle . 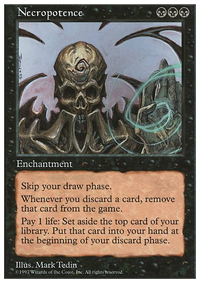 For all-around spell reduction Helm of Awakening is an excellent option! If you add in more ramp I think you can reduce your total land count to 30-31 without issue.